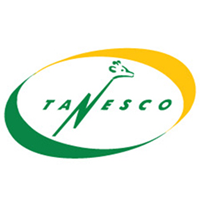 Tanzania Electric Supply Company (TANESCO) is focusing on increasing the outreach and service quality of its Energy products for Tanzanians. Next to its current passion as a leading provider of electricity is to be more efficient, customer focused utility for Tanzania and beyond. The Company has the largest electricity generation, transmission and distribution network in Tanzania. In order to reach its goals, the Company is investing heavily in its generation, transmission and distribution network, its business systems and human capital. TANESCO now invites applicants who are self-motivated, honest, hardworking and committed Tanzania nationals to fill the under-mentioned posts. To provide support in various energy related research activities that ensure a smooth transformation of energy system driven by concerns of climate change, energy security and energy costs. Reviewing of previously conducted studies in energy sector internationally to draw similarities to challenges within the Company. Studying company business cycle to identify areas that needs improvements through research and studies. Carry out with other in-house staff field studies including data compilation, data analysis, discovering patterns etc. Prepare reports and presentation to Supervisor and colleagues for all completed research assignments. Fresh graduates with a minimum of Bachelor Degree (Upper Second Class) from a recognized higher Learning Institution in one of the following fields; Electrical & Mechanical Engineering, Water Resources Engineering (with knowledge of Hydrological modelling and GIS), Social Sciences, Applied Earth Sciences, Energy, Environment and Renewables. Registration with respective regulatory Bodies e.g. NEMC, ERB in any category will be an added advantage. Applicants must attach an up to date current Curriculum Vitae (CV) with reliable contact address, email and telephone numbers. any time during the recruitment process or after engagement.